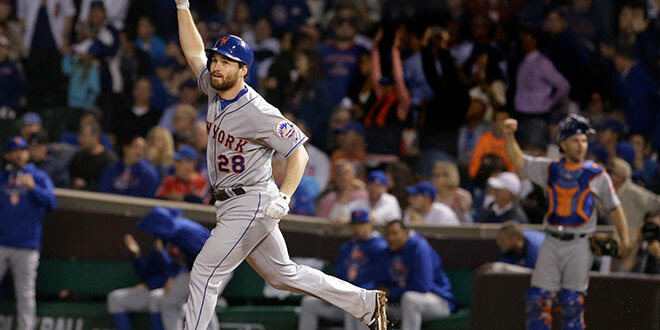 Former Jacksonville University infielder and New York Mets slugger Daniel Murphy made headlines this year, earning the National League Championship Series MVP title, and leading his team to the 2015 World Series. Over the course of the National League Division Series and NLCS, Murphy also became the first person in major league history to hit a home run in six consecutive postseason games, beating a record set by Carlos Beltrán. Murphy, who was the 2006 Atlantic Sun Player of the Year at JU, hit a career-high 14 home runs during the 2015 MLB regular season and seven more in nine postseason games. A Jacksonville native, he played three seasons for JU, leading the program to an NCAA Regional appearance before being selected in the 13th round of the 2006 MLB First-Year Player Draft.